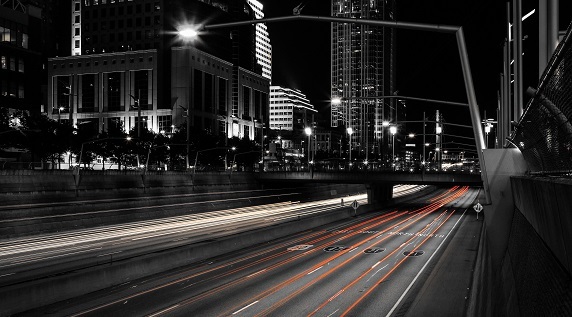 Utilities across the U.S. are continuing to push ahead on grid modernization plans in order to improve reliability and offer their customers new products and services. 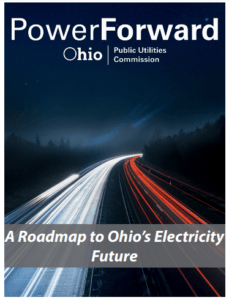 A recent process you may have heard of is PowerForward, which is being spearheaded by the Public Utilities Commission of Ohio (PUCO) to envision an Ohio-specific modern electric grid. In August, PUCO released a report that summarized its findings and set a roadmap for transformation. An important action included in the report is to make energy data useful and usable to customers, while ensuring their privacy. Why is this important? Because energy data underpins the modern electric grid. Utilities need more granular data to become more sophisticated in managing reliability and infrastructure. The investments that utilities make to collect and manage this data also provide opportunities for customers to receive better and more detailed information about their own energy usage. Customers can then use this energy data to be more energy efficient. They can also choose to share their data with energy service providers who offer innovative products and services that unlock even higher savings and performance. These themes came through loud and clear when PUCO hosted experts from across the country to present on emerging issues and provide critical guidance to inform PowerForward. Building on their recommendations, the PowerForward report concludes that customers should have access to their own energy usage data and be able to share it with their energy service providers. PUCO subsequently initiated a “PowerForward Collaborative”, which convened earlier this month, as well as two working groups. One of them, the Data and Modern Grid Workgroup (DWG), will create data privacy protocols and uniform approaches for customers to share their energy data with third parties. Another, the Distribution System Planning Workgroup (PWG), will consider options for how non-wires alternatives could be integrated into the distribution system, possibly developing tools like data portals and hosting capacity maps. So there’s a lot of detailed work to come. One finding not included in the PowerForward report is the important role that more accessible energy data plays in creating effective policies and programs for states and cities. The Institute for Market Transformation (IMT) works with local governments across the country that have diverse community energy goals: to reduce carbon emissions, foster economic development and affordability, improve local resilience, and promote more equitable access to energy programs. To do this work, cities often need energy data that utilities collect and manage. For example, local governments may want to know how much energy is used within their communities and whether there are neighborhoods that are underserved by energy efficiency programs. Rarely is this information accurate and available, despite its importance. Moreover, investor-owned utilities in Ohio do not currently provide building owners access to data about the entire energy usage of a tenant-occupied building. This limits owners’ ability to save energy by benchmarking and investing in improvements, and can prevent cities from implementing benchmarking and transparency ordinances. Finally, in order to manage their own facilities efficiently, municipalities need detailed information about on-site solar generation and clearer billing practices. PUCO has the opportunity to use the PowerForward process to think bigger about energy data access. For example, it could engage local governments, universities, data scientists, and community-based organizations—entities that are not always represented in public utility commission proceedings—to identify what types of energy data would help them advance their objectives and missions and align with PowerForward. In IMT’s experience, the answers may reveal innovative new frameworks under which data can be used, shared, and protected. PUCO’s PowerForward has been unique for being a collaborative process that brings in experts from across the country to have open conversations about a changing future for the grid and how we use and save energy. The commission can make Ohio a true national leader in energy data access and usability by continuing to broaden those conversations. Are you a local government or utility regulator who wants to liberate energy data to drive new policies and new markets? Email me at kelly.crandall@imt.org.